Refrigerator, lemons could come in handy. Take some lemon juice and use a cotton ball or foam sponge to absorb it. Place the lemon soaked item in your refrigerator for several hours so it can eliminate the bad odours. It can also be used to get rid of unpleasant smells from your trash cans too. If you have dry or brittle nails, mix some Lemon juice and olive oil and soak them for a while. Apply them to your nails as if to rinse them with it. Lemon Juice is known to whiten nails and remove stains. For those who have asthma,sore throat or congested chest problem, drinking lemon water/juice will help reduce the amount of phlegm in their body. Lemons work great due to their antibacterial properties. Mixing baking soda and lemon juice can give you a whiter teeth. The chemical reaction from lemon juice and baking soda has a great whitening effect. Keep in mind that using either of them in too much quantities whether alone or together, can damage the enamel of your teeth and don't leave them on your teeth for more than a minute. Apply the mixture in a paste form with a tooth brush. Common Kitchen utensils like cutting board,rolling pins and the likes are good attractions for both bad odour and germs. Since lemons are good bacteria and bad odour fighters, they can be applied to these households items after washing. Simply apply the lemon juice to them after washing, leave for 20 minutes and rinse the lemon juice off the items and leave to dry. Hard to believe, but lemons can help other fruits and food last longer. Adding a little lemon juice to your potatoes,apples,pear e.t.c will actually keep them from browning. The citric acid in lemon does the trick and keeps them fresher. You can make lemon an all round cleaner. By adding water to it. This can replace all the chemical laden cleaners we have now. They can be used to clean shower handles, brighten door handles and metals in general. Lemon will keep them free from bacteria. 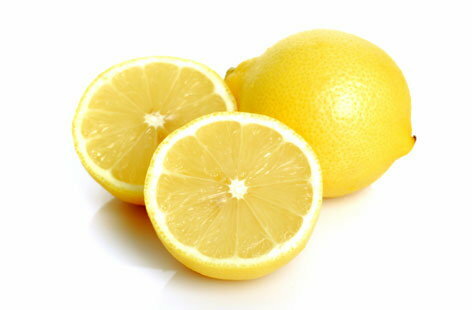 Because of its whitening effect,lemon can also be used as an alternative to bleach/brighten white clothes. Adding a cup of lemon juice to your laundry will sharpen the colours. If you are worried about cats or want to keep them away from any particular spot,just pour some lemon juice there. Cats find the odour of lemon repulsive and they will keep away at the slightest sniff. They also work great for roaches too. Lemon juice is in fact a very effective natural deodorant. Just rub your armpit with lemon juice, preferably one sliced in half with a knife. Apply under your armpit just before you leave the shower. Leave on for about 6 minutes. Then rinse with water. You will be surprised at how clean and odourless your armpit would remain through out the day. Combining lemon with honey will do wonders to your skin. The antiseptic properties in honey helps prevents pimples, while it moisturises your skin simultaneously. At the same time the vitamin C from lemon will help brighten it. For best effect, leave on on your skin for at least 20 minutes. They work well in preventing black heads too. The citric acid in lemon juice alters the pH levels in your mouth, making lemon an excellent mouth wash. The citric acid helps fight bacteria causing bad breath. Remember to rinse your mouth and not leave longer than a minute. The acid in lemon can hurt the enamels in your mouth. So there are some of the uses of lemon most of us never knew. Remember to include one in your shopping list next time. Please Share this post using the share buttons below if you like it.